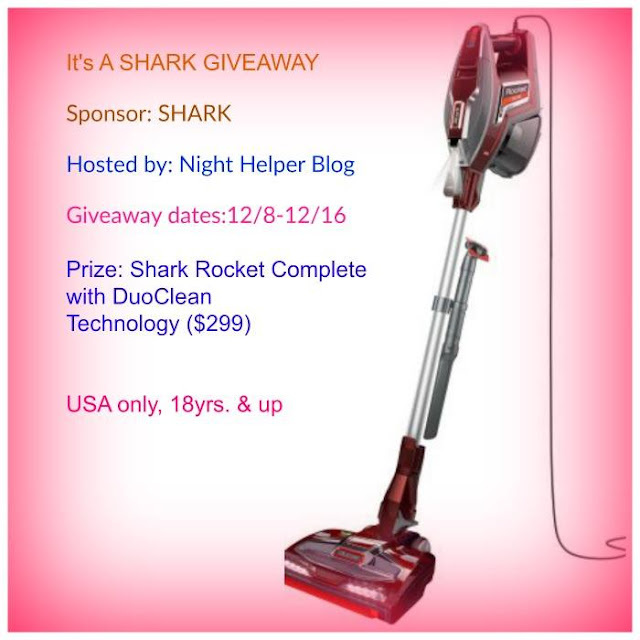 Welcome to "the Shark Rocket Complete with DuoClean Technology Giveaway"
($299.99 value) , you can read more about my review This vacuum glides and cleans. Ifyou do not own a Shark, here is your chance to win one. This is an amazing vacuum and have wanted one of these for quite sometime. I have an old Hoover from 20 years ago that is so heavy that it hurts to vacuum especially after having a mastectomy this year.